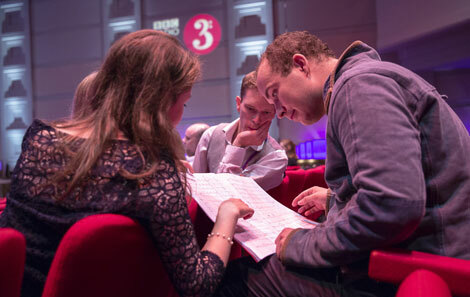 Congratulations to 3rd Year Clarinettist Sarah Jenkins, whose latest composition And the Sun Stood Still will be premiered by the BBC Concert Orchestra on Dec 5th, and broadcast live on BBC Radio 3. You can hear her talking about it on Radio 4’s Front Row here (from 11.19). It’s not the first time in her burgeoning composing career that Sarah has had her work performed on Radio 3. Having won the BBC Proms Inspire Young Composer’s Competition at the end of her first year at College, Sarah’s winning piece, which she entered for the competition when she was just 18, Three Miniatures of Ynys Lawd, was performed by the Aurora Orchestra and broadcast on Radio 3 in August last year. She was then commissioned by the BBC to write a new work based on Gustav Mahler’s settings of Des Knaben Wunderhorn. 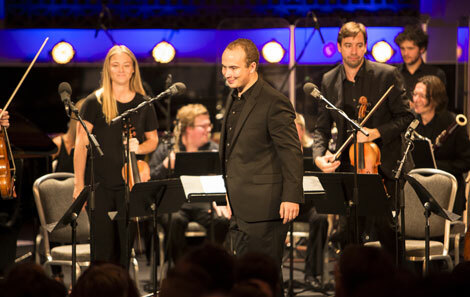 Mentored by composer Martin Suckling, her piece Trallali, Trallaley, Trallalera for piano and chamber orchestra, was performed by the Aurora Orchestra and conductor Christopher Stark this summer, and was again broadcast on Radio 3. Another commission followed, this time from The BBC Concert Orchestra for a new work for their Winter Lights concert. And the Sun Stood Still, which will be conducted by Bramwell Tovey at the Queen Elizabeth Hall, takes inspiration from the winter solstice and will be performed as a world premiere alongside a new work by composer in residence, Dobrinka Tabakova. 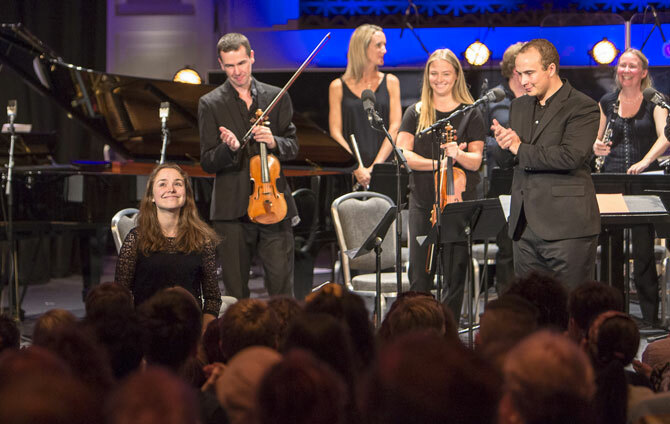 Sarah has also been a BBC Proms Inspire Ambassador for the past three years; helping to facilitate workshops for young people. What I am most impressed by, above all, is just how good your music is – it is strong, confident, well structured, unfussy, with a clear and direct sense of purpose – you really do have something to say, and you seem to possess the ability to express your musical ideas with a strong command of harmony, line, instrumentation, texture and colour that is quite remarkable. “The College has been fantastic in supporting and encouraging me to continue to compose alongside my principal study of Clarinet, allowing me to build up as versatile a skills set as possible. I first started playing the piano, before I moved to the clarinet – but I have always loved composing and wanted to keep that going. The advice, encouragement and support from the Head of Composition, John Hardy, has been incredible and I am also very grateful for the support from my Head of Department, Nick Carpenter.